Have a Heart ! Well, not one of mine because I will never give away my Heart, haha. 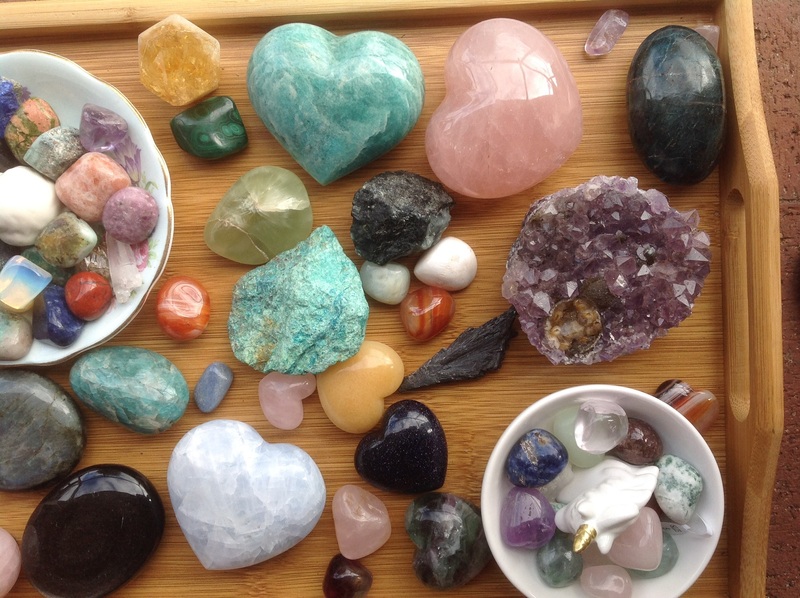 But gemstone heart shapes are very beautiful & soothing to have by your computer, or by your bedside, on your dressing table or anywhere you choose where you can see them, feel them and pick them up and connect to their energies. 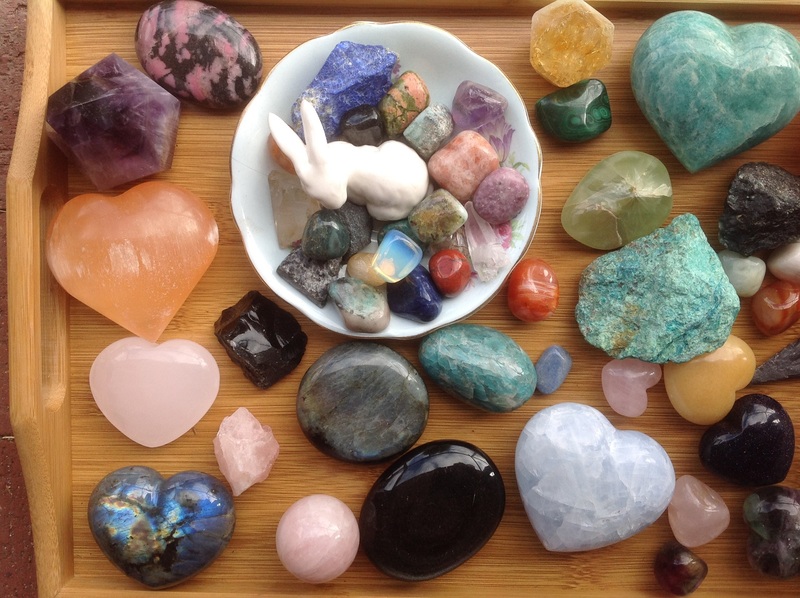 You can shop around on eBay and on Etsy for your own gemstone hearts. I bought mine from various online Sellers and I have a small palm-stone sized beautiful rose quartz heart which I carry around with me, in a pouch, in my pocket. I have just been lucky enough to find Crystal Miracles on Etsy from whom I bought myself a small pocket sized banded agate heart. 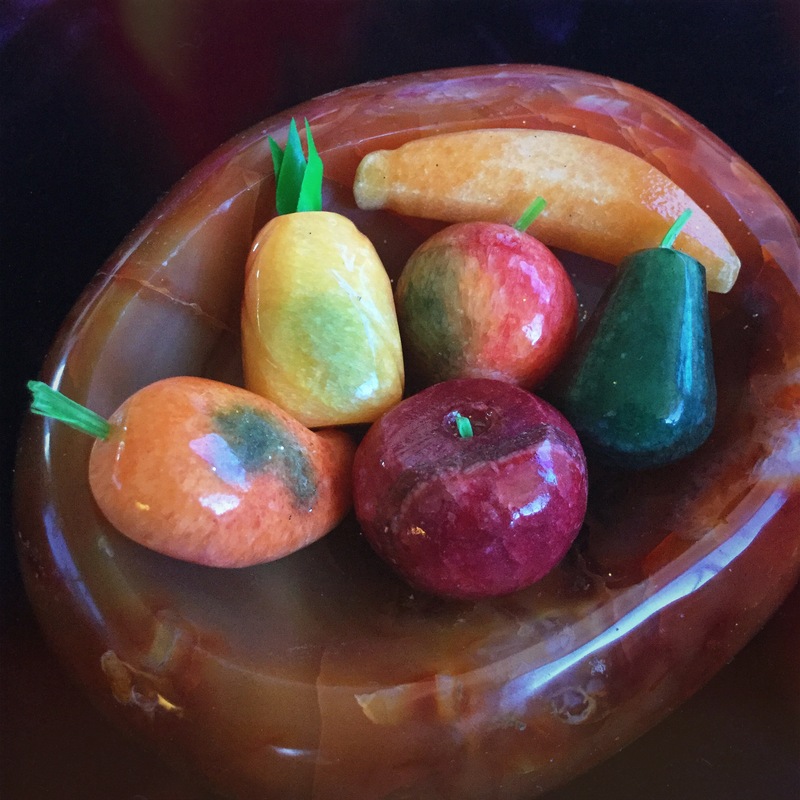 Crystal Miracles has very affordable beautiful gemstone hearts and other crystal wonders that can be posted around the world. I fell in love with the Earth’s treasures in this Etsy store and have bought some for friends! Don’t forget my friend Ethan’s shop on Etsy too – for gorgeous gemstone bracelets for MEN and women. These creations inspire and the various gemstones have properties which can work with a person’s own energies to impart the qualities of the gemstones. Just “google” e.g. sugilite meaning Or sugilite metaphysical properties. I have the most wonderful beautiful spiritual gemstone bracelets already from Ethan. Check out my amazing PURPLE SUGALITE bracelet from Ethan, at the Link above! Categories: Art | Tags: crystals, gemstones, hearts | Permalink. WHAT IF every crystal skull guardian in the world focused on sending a healing energy to Mother Earth and all life for fifteen-twenty minutes on one special day? Join me and others in holding your special Crystal skull and sending a laser beam of peace and love to all Earth. This invitation is very timely and poignant for me, as I am organising a Fund-raiser to raise funds for displaced people within Syria and refugees. I wish with all my HEART that a cease-fire would happen and that whatever madness is in the hearts of the men causing so much horrific turmoil will disappear without a trace. YES, the whole world NEEDS Light and Love intensively emblazoned or evoked within every single person’s Heart or Soul. I think that it is the job of Light Workers to draw out and stimulate or to light the fire of the truth of our one-ness and of Love for one another within the Souls of those “dark” Beings that cause so much disruption and hurt. DO NOT just send or bathe them with LOVE but see Love awaken within them, see it ignite from their core. Isn’t there “good” and “bad” within each one of us? It is no use demonizing people to the exclusion of seeing them as nonredeemable or not salvageable. I will be using my smoky quartz crystal skull called Cristal Lady of the Firewater, to pray for sense and sensibility, for a massive transformation – for Homo sapiens ( human beings ) collectively to ignite a fire and a rain of LOVE. AND a small crystal skull from Joshua Shapiro, that i call “Rainbow. Sorry, no photo, as I had to re-do my computer recently & can’t seem to find many of my images I thought I had saved, LOL. I hope that anyone reading this will join in with a Crystal Skull or even just an etheric crystal skull, or any clear quartz crystal. Read more about this EVENT at the links below! Categories: Crafts, Culture, Gemstones, Peace, Philosophy, Spiritual | Tags: crystal skulls, crystals, gemstones, healing, joshua shapiro | Permalink. Above are photos of my wonderful new Bracelets. They were made by a talented Australian, Natasha, who has an eBay Store! Recently I have been quite drawn to gemstones and the mineral world, and attracting some to me, as well as purchasing some items. Recently, a friend at work gave me some beautiful polished Chakra stones. African Turqoise is not a real turqoise, but is a teal coloured Jasper. These bracelets are amazing. The stones are large and the bracelets comfortable to wear, and look gorgeous. I feel lucky to have them, and I can say that I felt a nice energy when just looking at these bracelets on the eBay store. 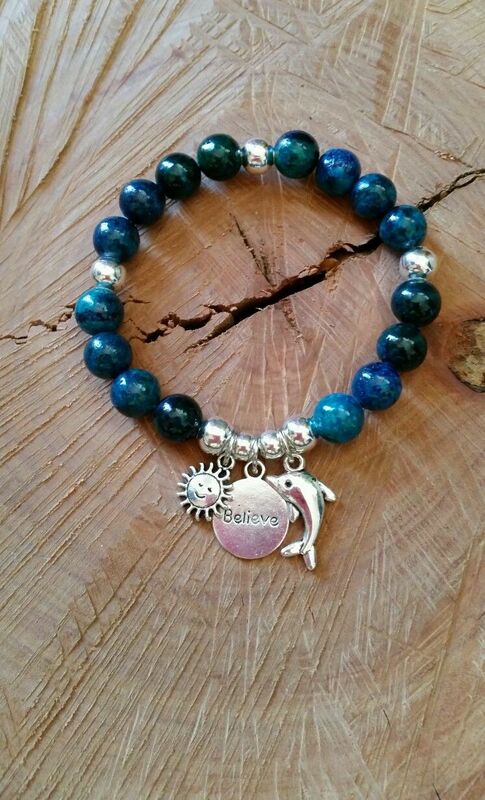 Rest assured that if you purchase a Bracelet or item from Adora Belle Boutique, that you will love it. I will love wearing my bracelets. 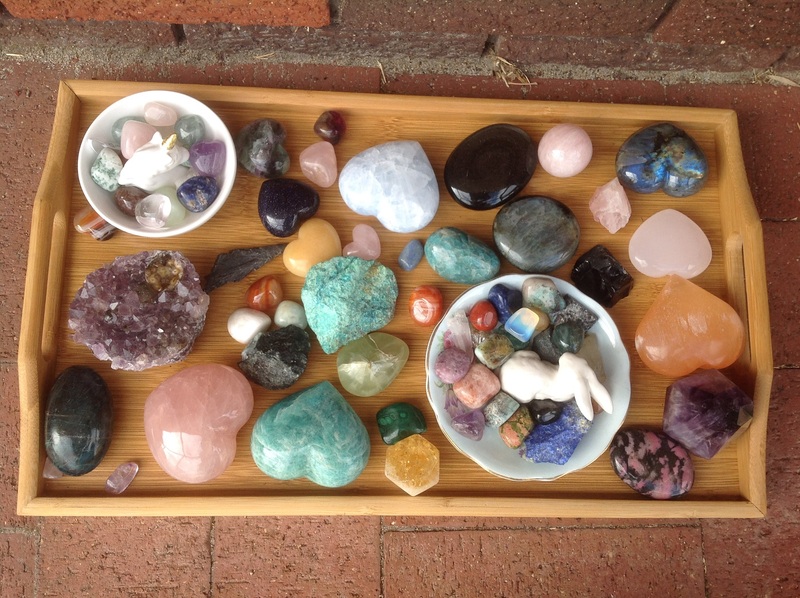 Jacqui from Holistic Harmony provided a wonderful “Crystal Healing Directory” which I attach below, if you would like to look up the healing / beneficial properties of the various crystals / stones. In my experience, the beautiful amazing gems from our natural world do amplify various energetic aspects of our human bodies, so can benefit us by wearing them, or having them near us! 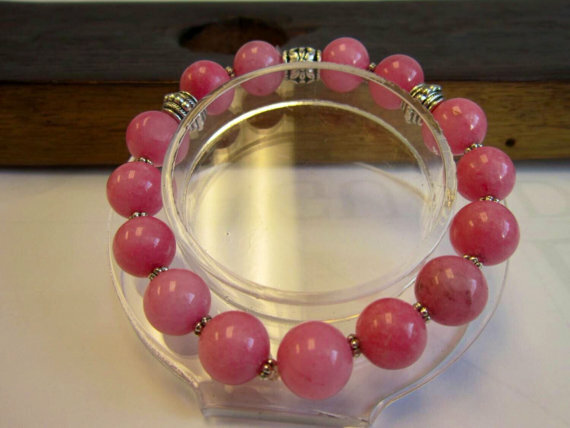 I have just ordered a beautiful pink Rhodocrosite bracelet from an Etsy seller, with a Virgo charm. 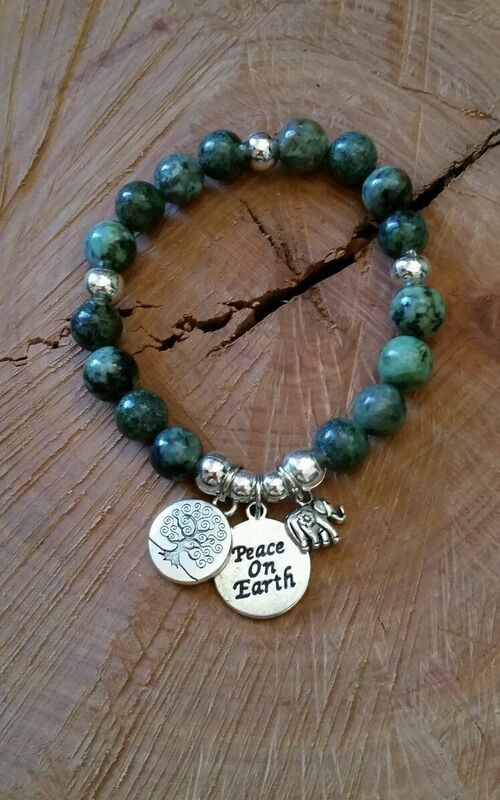 You can select a Charm to be affixed to your Bracelet, and it will be sent to you post haste by a lovely seller in Miami, U.S.A. See https://www.etsy.com/au/shop/HealingAtlas and what is also great, I think, is that you can choose a bracelet length and get a quote on “shipping” costs to your country, and the postage cost is very reasonable, given the high postage prices from the U.S. See photos below. Well, when I found out that Rhodocrosite is not only the most gorgeous amazing color ( one of my favorites – pink ) but it also helps to heal the heart or the emotions, I thought this is also for me. 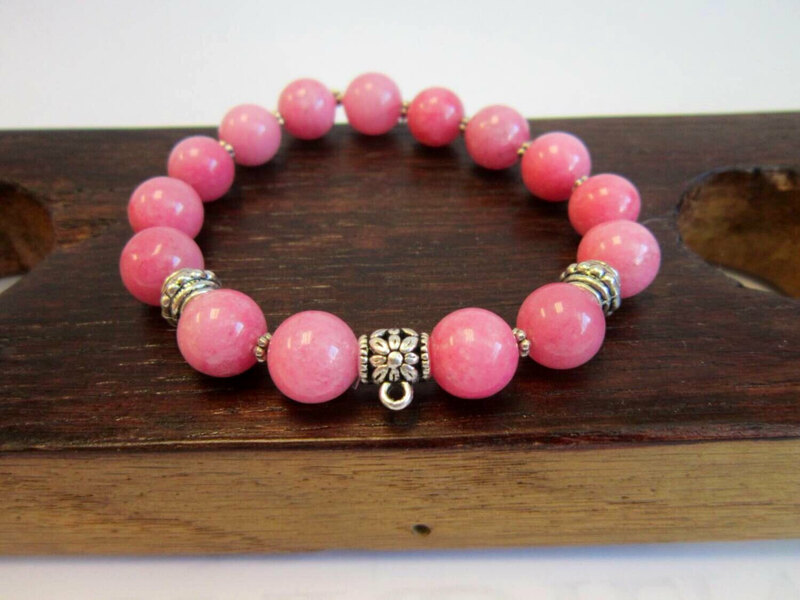 So, I have “splashed” out on the pink too – this beautiful bracelet did not cost me much. I am the “Gemstone Bracelet Queen”, I think! I love pretty gemstone bracelets and other jewellery. Well, these gemstone bracelets are well worth what I paid for them – in fact they are priceless in terms of the pleasure and benefit they will bring me! Categories: Beauty, Crafts, Gemstones, Handicrafts, Jewellery, Spiritual, Symbols | Tags: adora belle, azurite, bracelets, crystals, etsy, gemstones, malachite, rhodocrosite | Permalink. 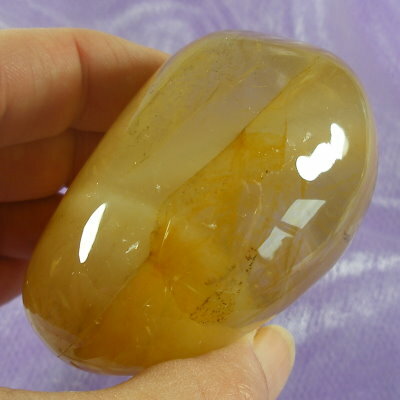 Here are pics of my new dendritic Golden Healer Quartz crystal polished pebble. It is 247 grams in weight and contains pre-historic ferns (or dendrites) !! 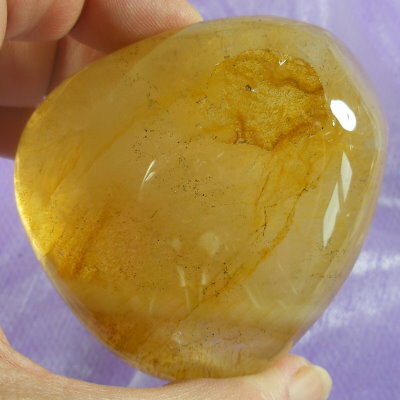 The golden yellow colouration that gives this type of Quartz it’s name is due to oxidised Iron which coats the outer surfaces of the Quartz crystals from its location in Madagascar. There are several rainbows in this pebble. 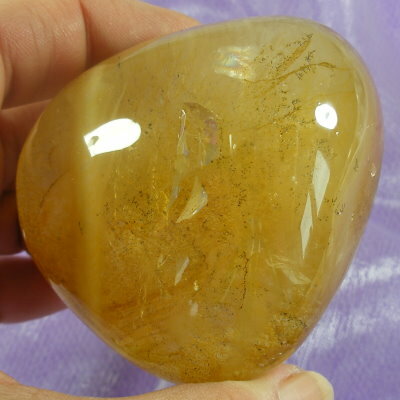 Golden Healer Quartz are considered some of the best stones for healing uses on an emotional, physical and spiritual level. They are gentle and calming yet energizing. These dendrites are the fossilised remains of ancient plants. They are the perfect imprint of what once was. They teach the lesson that however small and insignificant you once were you will leave your mark on the world long after you’re gone. Perhaps also they show us that much has gone before us and that Nature is a supreme creator and destroyer. We humans are just part of the scheme of things. 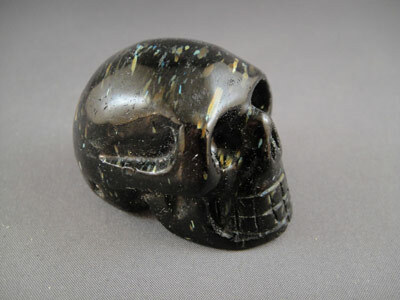 This is a great Shamanic object and meditation stone. Categories: Gemstones | Tags: crystals, gemstones, golden healer, quartz, shamanic stone | Permalink.